Sleek and streamlined, the compact body houses the built-in speaker system, yet weighs only 26 lbs. (11.8 kg.) allowing for east transport—if needed. 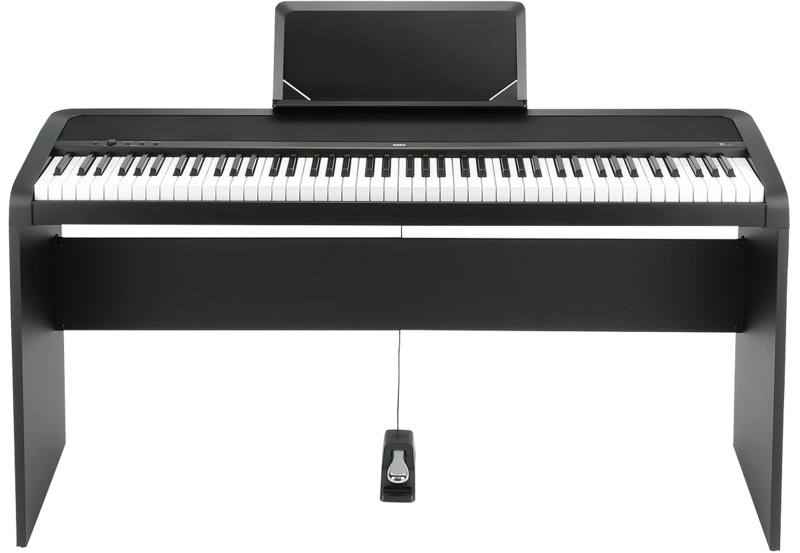 The depth barely exceeds 13 inches (336 mm), making the B1 Digital Piano extremely agile and versatile when it comes to placement. 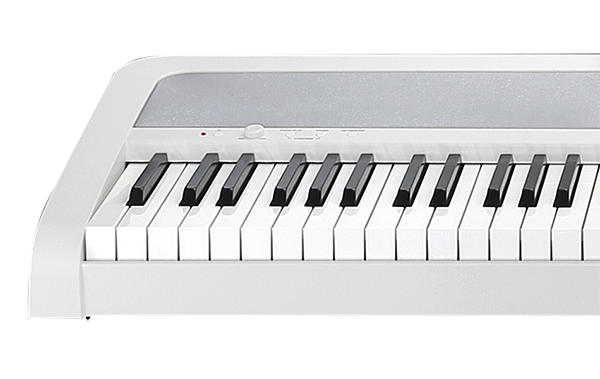 The music rest of the B1 Digital Piano features a page retention pocket that keeps music pages and folios from turning unexpectedly during performance—printed music up to 10 mm (approx.) in thickness can be accommodated. This thoughtful addition allows you to concentrate on your playing. 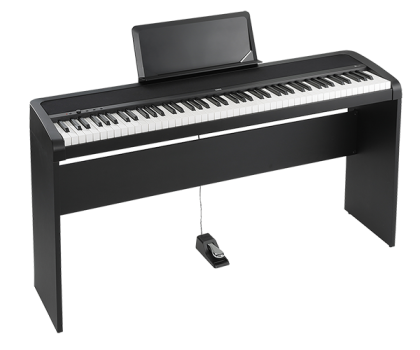 By activating the Partner Mode, the keyboard is effectively split into two side-by-side keyboards—each pitched in the same range. 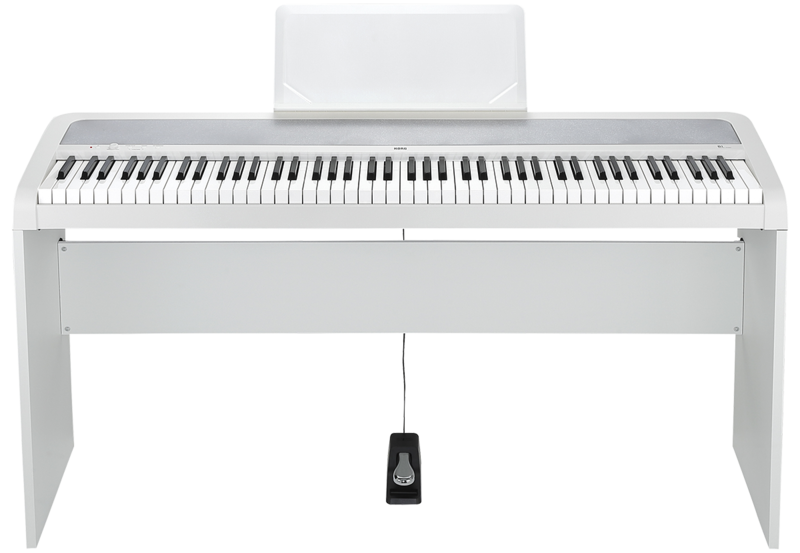 This allows the student and teacher (or parent and child) to play the same passages at the same time—the perfect way to learn a difficult lesson. In a classroom setting, two students can share a single instrument. 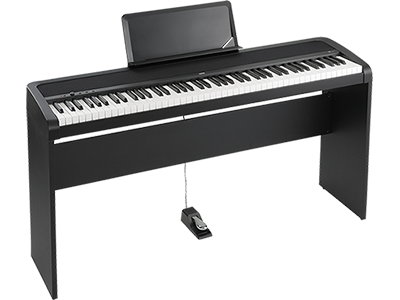 The CONCERT piano series is KORG’s new standard in piano performance. 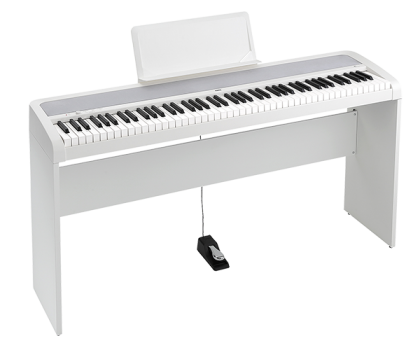 It is designed to provide the same enjoyment, sound, playing feel and musical experience as experienced in a concert hall.